Stem Cell Therapy: a Boon or a Boondoggle? HOUSTON (CN) — Injected with 600 million stem cells grown from his own stomach fat, an elderly man said the injections stopped his Parkinson’s disease tremors and he’s now teeing up his own golf balls and competing in golf tournaments. A teenager said stem cell infusions stabilized his eye condition so he could stop taking a chemotherapy drug that was sapping his energy, and stem cells sprayed up his nose to his brain stem improved his comprehension of Spanish. Both are clients of Celltex Therapeutics, a Houston company at the forefront of the controversial, but flourishing, regenerative medicine industry, profiting from treatments that researchers hope could one day treat Alzheimer’s and Lou Gehrig’s disease and help paralyzed people walk again. 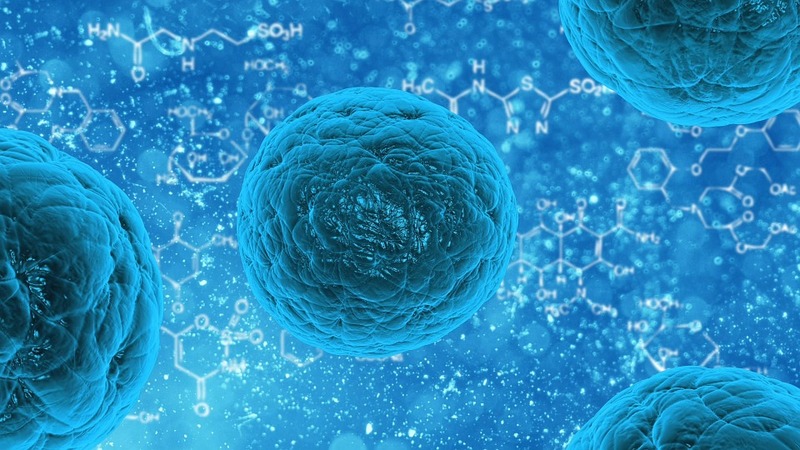 Though experts say it could take decades to develop stem cell treatments for these diseases, Celltex is one of more than 350 businesses in the United States marketing treatments that are not approved by the U.S. Food and Drug Administration, according to a 2016 study by professors at the University of California, Davis and the University of Minnesota. Like Celltex, some of these companies provide treatments for sick people who have run out of options and are willing to pay big bucks for relief — federal approval be damned. Celltex is unique among its competitors in that it was founded at the suggestion of Texas Governor Rick Perry, now the U.S Secretary of Energy. Perry summoned his longtime friend and campaign donor David Eller to his office in the State Capitol in Austin, after Eller returned to Texas from a stint as president of DuPont Pharmaceuticals in London. Perry said he wanted to leave a legacy for the state because he was tired of Texans having to go to Japan or German for stem cell therapy. Perry asked him to start a stem cell business in Texas, Eller said, but he was hesitant to agree because the federal government frowns upon experimental procedures. “So that’s the way it started,” Eller said. Eller co-founded Celltex with Dr. Stanley Jones, a Houston orthopedic surgeon and also a longtime friend of Perry. Jones injected Perry with stem cells during a July 2011 spinal surgery he performed on the governor. Impressed by his recovery, Perry helped pass legislation to legalize stem cell treatments in Texas. The treatments had to be approved by the Texas Medical Board. But Celltex’s days of injecting stem cells in Texas were short-lived. The company had amassed just 230 clients when the FDA came to a Houston-area lab run by its contractor in 2012. “The FDA came in and said, ‘You may think you have a cell lab; we think you have a drug lab,’” Eller said. Celltex opened a new lab in Houston in 2013. Eller said the lab is registered with the FDA and meets all the agency’s quality-control standards. Celltex charges $6,500 to remove mesenchymal stem cells — adult cells that can morph into muscle, bone, cartilage and fat cells — from a small piece of fat it removes from patients’ stomachs. Then Celltex grows millions of stem cells from the fat in its Houston lab and stores them for clients in liquid nitrogen at -300 degrees Fahrenheit, a process the company calls banking. The FDA classifies stem cells taken from a person and expanded in large quantities as drugs, and requires long-term clinical trials before it will approve treatments with them. To get around FDA regulations, Celltex leased a hospital in Cancun, Mexico, where it charges $13,000 for a single IV infusion of 200 million cells: up to $80,000 for a package of 10 IV infusions. At a Jan. 18 sales pitch in a ballroom at a Houston hotel, Celltex staff touted the potential “anti-aging” benefits of its stem cell treatments. Calling the event a seminar, Celltex offered a 20 percent rebate, up to $5,200, for its cell-banking service. The crowd of 115 people helped themselves to wine and a spread of shrimp and roasted vegetables, forks clanking on their plates, as they listened to testimonials from Celltex clients and presentations from Celltex employees. Celltex says its treatments are safer than Tylenol, which can cause liver damage. Its chief scientific officer Jane Young said during the seminar that none of the more than 4,000 people it’s treated have reported any side effects. Young said Celltex did a study in which it injected lab mice with 73 times the normal dose of 200 million cells that Celltex gives its clients, and none of the mice died, developed toxic organs or grew tumors. “So we have shown that even when we used 73 times higher than the therapeutic dose, there’s still no adverse event,” Young said. But a disclaimer in the fine print of Celltex’s sales contract contradicts that bold claim. “I understand that Celltex has made no and makes no claims about the ability of stem cells to treat, cure, or have any effect upon my health or any clinical condition,” it states. Celltex staff said the company has entered into research partnerships with doctors from the Texas Heart Institute and Texas A&M University to stay on the cutting edge of stem cell treatment, but Eller acknowledged its main focus is turning a profit. Eller said DuPont spent more than $1.2 billion on a trial that took more than 10 years, which the FDA could have canceled at any time, to get FDA approval of its blood thinner Coumadin, now widely prescribed for people with heart problems. He pointed to Debbie Bertrand, sitting at a nearby table. Bertrand said in a video testimonial played at the seminar that Celltex therapy helped her symptoms of multiple sclerosis, allowing her to trade her wheelchair for a walker and type with both hands on a keyboard again. “Debbie didn’t have enough years left in her life to wait for a clinical trial. We don’t have a billion dollars to spend on it either,” Eller said. Willie Carl, an 80-year-old Houston real estate developer, said in another video that he was diagnosed with Parkinson’s disease in 2008. “At first I thought I could manage it, but the tremors kept getting worse. So I turned to Celltex Therapeutics. Today, I don’t need my granddaughters to help me get out of my chair, and I can even tee up my own golf ball. Stem cell therapy has done more for my health than I can ever imagine,” he said in the video. Carl’s hands were steady, hanging at his sides as he sat low in his chair at a table in the ballroom. He said in an interview that Celltex injected 600 million stem cells into him. “Two million each week for three weeks, I had two injections in my knees and one in my lower back,” he said. He said a year later he walked into a boardroom and was surprised to find he could read the numbers on the wall without his glasses, crediting the stem cell injections. Carl said none of the people he’s referred to Celltex have suffered side effects, and the therapy has made them, and him, impervious to seasonal illnesses. “You can’t get the flu and you can’t have a cold after you get the injections. It puts your immune system to the top,” he said. Leigh Turner, an associate bioethics professor at the University of Minnesota and co-author of the 2016 study on the U.S. stem cell therapy industry, is skeptical of Celltex’s claims and business model. He said in 2011 he learned that Celltex was extracting stem cells from people in the Houston area and re-injecting the cells into them to treat multiple sclerosis and arthritis, so he wrote a letter to the FDA, urging it to investigate. The FDA acted on Turner’s tip and sent Celltex a warning letter and visited its contractor’s Houston lab in 2012. The FDA told Celltex it could not continue the treatments without approval through a clinical trial, which led Celltex to open its clinic in Mexico. Celltex has a permit to export stem cells to Mexico, where its treatments are approved by Mexico’s equivalent of the FDA, COFEPRIS (Comisión Federal para la Protección contra Riesgos Sanitarios: the Federal Commission for Protection Against Sanitary Risk). Turner said he laughed when he heard about the teenage Celltex patient who said he could understand Spanish better after he had stem cells sprayed up his nose. He said that’s typical of the “marketing hyperbole” that swirls around stem cell treatment providers. “They make very bold claims,” Turner said in a phone interview. “They make very bold pronouncements. That gets picked up by patients, or clients, and those individuals will often say it as well, and you can see it in different settings. But Turner said if one looks at the companies’ clinical research, they usually do not have any data to back up their claims. He said California has the most stem cell treatment clinics, followed by Florida and Texas. An FDA spokesman said the agency does not require some stem cell treatments involving “minimal manipulation” of cells to have FDA approval. Terry Chase, Celltex’s director of sponsored research, told the audience at the Jan. 18 seminar that Celltex will soon launch an Alzheimer’s stem cell treatment study with Texas A&M University. She said when stem cells are cultured and grown in a lab they produce exosomes, vesicles that are 1/100 the size of stem cells, and that Texas A&M researchers have had some breakthroughs with them. She said Celltex hopes to learn how to harvest exosomes from Texas A&M. But Turner said exosomes are merely the latest fad in stem cell marketing and research. “The idea is, ‘Well, what if we didn’t just put cells into people? What if we grew cells in culture and so had almost like this kind of broth or soup, and that became the thing we administered to people?’ So it’s not so much the cells per se, but the exosome that’s being produced,” he said. He said if Celltex wants to get into treating Alzheimer’s disease with exosomes, it will definitely require an FDA-approved study and clearance from the agency. Turner said it’s good that Celltex is partnering with research institutes, but he’s still wary of the company, based on its past. For 15-year-old Brandon Pham, it’s not hype; it’s real. Brandon and his father Luan Pham, 52, said at the Celltex seminar they had recently returned from Cancun, where Luan spent $19,000 for Brandon to get two infusions of stem cells, through an IV in his arm and a nasal spray at the hospital Celltex leases. Luan said he owns a Houston IT company and invests in real estate. He said Brandon suffers from uveitis, in which a person’s autoimmune system malfunctions and attacks the cornea. He said that after Brandon had a lens implanted in his eye, his ophthalmologist said there was nothing more they could do. Luan said his Mexican wife heard about stem cell treatments on a Spanish-language TV station, and they found Celltex in Houston. They took Brandon to Cancun for his first stem cell treatment around Christmas 2016. “We did three doses of stem cells, which cost a lot, don’t get me wrong: $6,500 to get it out, $14,000 for a shot. We did three shots, plus a whole week in Cancun,” Luan said. Asked how much his insurance covered, Luan shaped an O with his fingers and laughed. “Yep, it covered that much.” He said he’s paying for the treatments with $150,000 he got from selling a rental property. Luan said the chemo drug Brandon took was much more affordable than his stem cell treatments because it was covered after the family met their $5,000 deductible. Brandon, unusually articulate for a 15-year-old, said he feels more alive now that he’s off the chemo drugs. “It mostly improved my life because I’m off methotrexate, which could likely lead to serious altercations in the future such as liver disease and liver cancer. And overall I feel more awake, I would say, because I used to be really tired all the time,” he said. He said he also noticed a difference at school. “I believe it was two or three weeks ago, I went to Cancun to get another treatment, and this one was an intranasal treatment and it goes directly to the brain,” Brandon said. Luan said Brandon’s eye condition has not gone away, but since Brandon started the treatments it has not worsened, and he’s grown six inches since getting off the chemo drug. Luan said that due to Brandon’s apparent success with the treatments, he and his wife are going to pay Celltex to bank their stem cells. If they decide they need stem cell treatments, they might be able to get them done in Texas. The Texas Legislature passed HB 810 in 2017 and Gov. Greg Abbott signed it in June. It calls for the Texas Medical Board and the Texas Health and Human Services Commission to develop rules by which people with severe chronic ailments and terminal illnesses may undergo adult stem cell therapy in Texas. A Texas Medical Board spokesman said it is taking its time to develop the rules. “At the board’s December 2017 meeting the board directed staff to schedule a stakeholder meeting in the next few months to take input on rule development. The earliest [that] rules may come up for adoption would be later this spring,” board spokesman Jarrett Schneider said. The Texas Health and Human Services Commission delegated its rulemaking for HB 810 to the Texas Department of State Health Services. Department spokesman Chris Van Deusen said it has not yet come up with a list of illnesses that will qualify for stem cell treatment because it is waiting for the Medical Board to hash out its rules. “Since it requires rules by both agencies, we want to be sure they don’t conflict,” he said. With Texas regulations still in the works, Brandon Pham said he wants to return to Cancun for more Celltex treatments.